Atletico Madrid attacker Antoine Griezmann has revealed that he is good friends with Manchester United’s Paul Pogba, and that he tries to watch him play whenever possible. Griezmann has been previously linked with a move to Old Trafford, and this statement of his has added further fuel to these links. In a recent interview, Antoine Griezmann revealed that he would only leave Atletico Madrid if Simeone leaves. And now, the fact that Diego Simeone is set to leave Atletico Madrid in 2018, combined with Griezmann’s recent statements, will definitely bring a smile to the faces of Manchester United fans across the world. 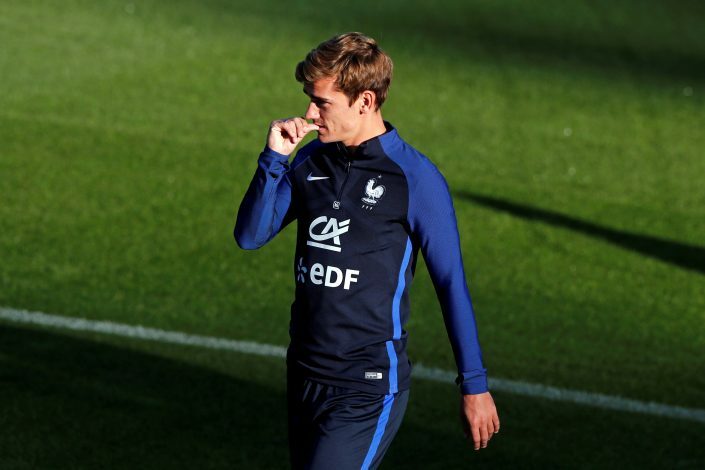 When asked the reason behind him becoming good friends with Paul Pogba, Griezmann said that it was the criticism they faced together after France’s opening game against Romania in the Euro 2016. “Pogba and I were brought closer by the French press,” Griezmann said. “Criticism after the Romania game made us friends. “We get on very well. It is true that the Euros has brought us closer together still. Don’t wait for him,just go for him.